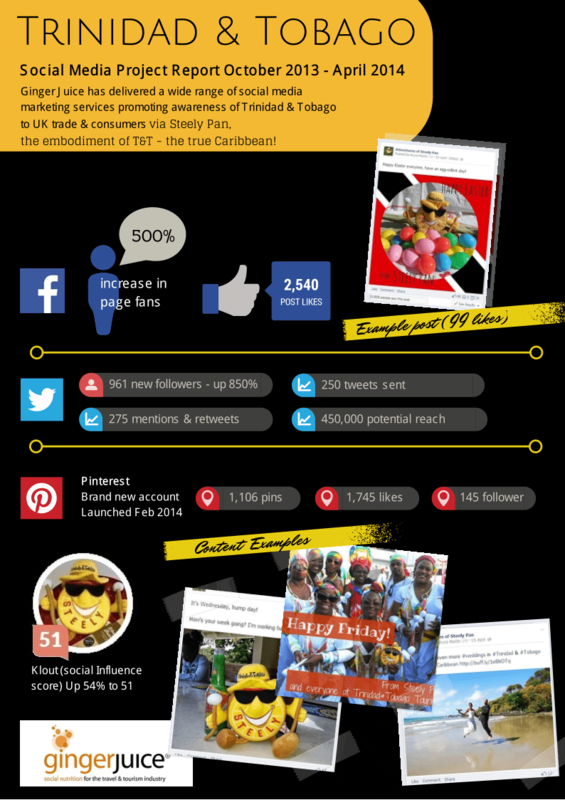 Ginger Juice successfully completed an eight month social media project to build awareness of Trinidad & Tobago. The client was keen to maximise their existing ‘Steely Pan’ branding and this was at the core of the project. We provided regular Facebook, Twitter & Pinterest activity using the T&T tone and branding. We also provided personalised on-the-day support and coverage during World Travel Market in November 2013.